Bob is a beautifully crafted rucksack for daily use, ergonomically designed to hold everything you might need for work or weekends on the move. Made from sustainable cotton canvas and Cordura, it’s a flexible companion for men and women. Store your tablet or 13” laptop in the smooth-lined sleeve, leaving plenty of room in the main compartment for personal belongings. 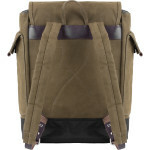 With multiple interior pockets and two side pouches, this bag effortlessly organises and protects your gear. A dedicated sleeve for your tablet or laptop ensures your devices stay safe when out and about. 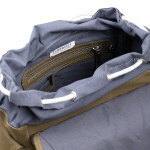 Drawstring closure and a buckle-fastened top flap mould to the contents of your bag, shielding them from the elements. Two external pockets offer handy storage for your bottle and basics, while the slip pouches and zipped pocket organise accessories inside. 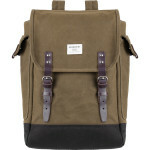 Constructed from waxed cotton canvas, with a water-resistant Cordura bottom and leather trimmings, this rucksack is incredibly hard-wearing. Adapt the padded shoulder straps to your body for comfortable wear, using the top grab handle for convenience. Bob has utilitarian charm with its simplistic yet highly functional design, a perfect example of the Scandinavian style for which Sandqvist is renowned. 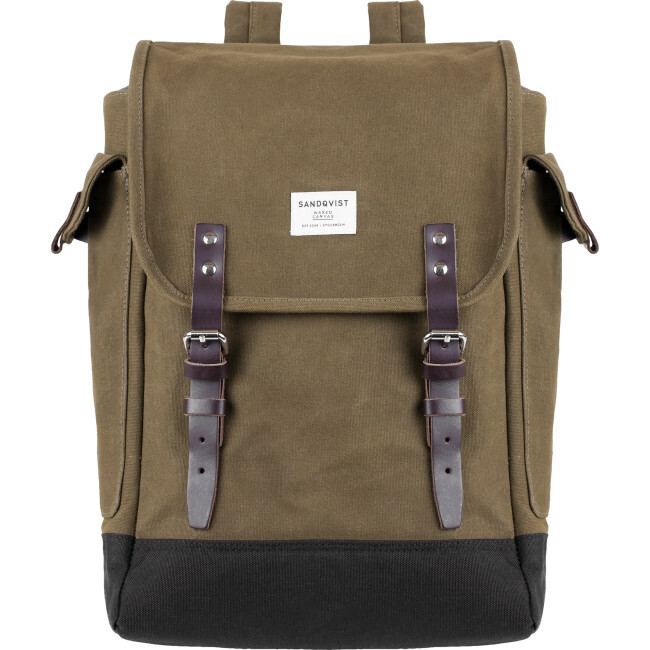 Organising your essentials for work and play, it’s a contemporary rucksack with timeless qualities. Store your tablet or laptop of up to 13” in the lined tech sleeve, arranging your everyday items in the main compartment, two slip pouches and zipped pocket. 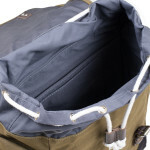 Fasten with the drawstring before sealing the top flap with adjustable buckles, and keep essential accessories to hand in the bellow pockets on each side. 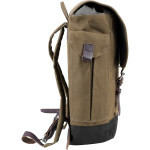 Made from 18oz cotton canvas with vegetable-tanned leather straps and a strong Cordura base, this rucksack is engineered to withstand wear and tear. Slip the adjustable straps over your shoulders for comfortable, hands-free travel, wherever your adventures take you. 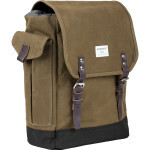 Heavy-duty cotton canvas and Cordura give this bag enduring properties, meaning it will age gracefully over time. To enhance the resilience of your cotton canvas exterior, we recommend treating with a specialist wax, and cleaning with a soft, damp sponge. 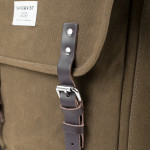 The rucksack also features vegetable-tanned leather detailing, which can be conditioned with a natural leather wax or cream to prolong the appearance and longevity of the trimmings. Simplicity runs through the heart of the Sandqvist collection. Drawing from the brand’s Scandinavian roots, these modern bags are designed to intuitively shape around your everyday essentials. Made with tech owners in mind, they rise to the challenge of contemporary living.